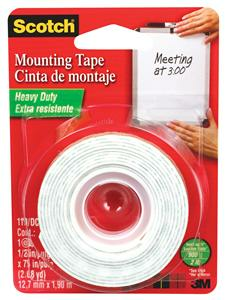 Double-sided foam tape can be used on most walls as well as ceramic tile and wood surfaces. Excellent for mounting pictures and other decor. Made to hold up to 2 pounds of weight. Permanently bonds.